Internet Alliance is organizing the annual Malaysia Internet Business Summit (MIBS) 2018 on 15th November 2018, 8.30am – 6.00pm at MaGIC, Cyberjaya. MIBS provides an effective platform and opportunities for knowledge sharing, intensive learning and networking among influential industry giants, tech influencers and solution providers from the region. The theme this year is ‘Digital Technology, Future is NOW’ with keynote speakers from Artificial Intelligence, Blockchain for business, Cloud Infrastructure, Big Data Analytics. 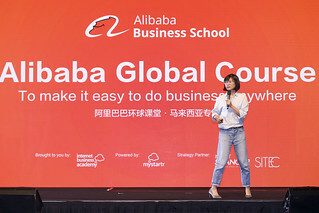 Additionally, there will be various panel sessions on current issues within the Internet Business scene, such as Internet and the infrastructure, trends in eCommerce and mobile wallets, and financing for SMEs. 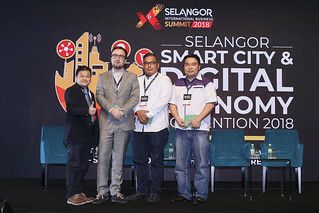 “This year, alongside with the main summit keynote and panel discussion, we have also prepared a series of workshops with practical industry knowledge and briefing from agencies on new policy and incentives that aid leaders in upcoming business planning.” – Chan Kee Siak, the President of Internet Alliance. Key workshops include ‘SST for the tech industry’ by the Royal Malaysian Customs, which will address this new policy and field queries from the crowd. 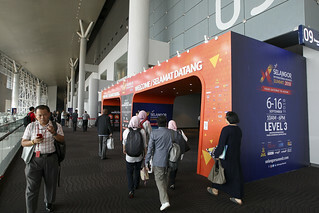 ‘Incentive from MATRADE’ prepares companies that are ready for expansion or are active in exploring overseas market opportunities, with topics on Marketing Development Grant (MDG) and Service Export Fund (SEF) Other workshops include ‘Capital Injection from Finsource’, ‘Web Security from Webnic’, ‘Digital Marketing from Exabytes Digital’, ‘Cloud Adoption from AIMS/TIME dot com’. Chan added the MIBS 2018 is designed for tech leaders, especially C-Levels and management in enterprises and SMEs. Mr Chan Kee Siak, President of Internet Alliance. Expertise in Cloud and Ecommerce. Mr Serm Teck Choon, President of Malaysian Digital Association. Expertise in Digital Media.